MORE of the same, please, would be my New Year message as we head into 2019. Scottish football receives plenty of criticism – of which more later – but it is rarely dull, and over the last 12 months, we have been particularly spoiled. From Celtic’s clinching of the first-ever Double Treble to Rangers’ recruitment of Steven Gerrard and Craig Levein’s spats with both Neil Lennon and Derek McInnes, it has been a highly-entertaining year. And it has not been only the biggest clubs who have done their bit. We have had Hearts’ terrific winning run that saw them lead the league for the first few weeks, Kilmarnock hitting the top of the table to spark talk of them becoming “Scotland’s Leicester City” and St Johnstone putting together a great string of winning shut-outs. There have been goals aplenty and no shortage of incident to keep the sports pages full and fans debating with one another. If the second half of the season is half as lively and competitive, then 2018-19 will go down as one of the most memorable for decades. There could be a great spin-off for the Scotland national team as we head into the Euro 2020 qualifiers proper. I say “proper” because we have already had the new Nations League ties and won a place in the competition play-offs in March, 2020. Assuming that is, we can’t get there under our own steam via the official qualifiers. That will take a bit of doing but with the likes of Allan McGregor, Ryan Christie and Scott McKenna all digging deep every week for clubs battling it out at the top, we look to be in good shape. Don’t forget the continued progress of Andy Robertson in a Liverpool side laying down a great challenge for the English Premier League title. 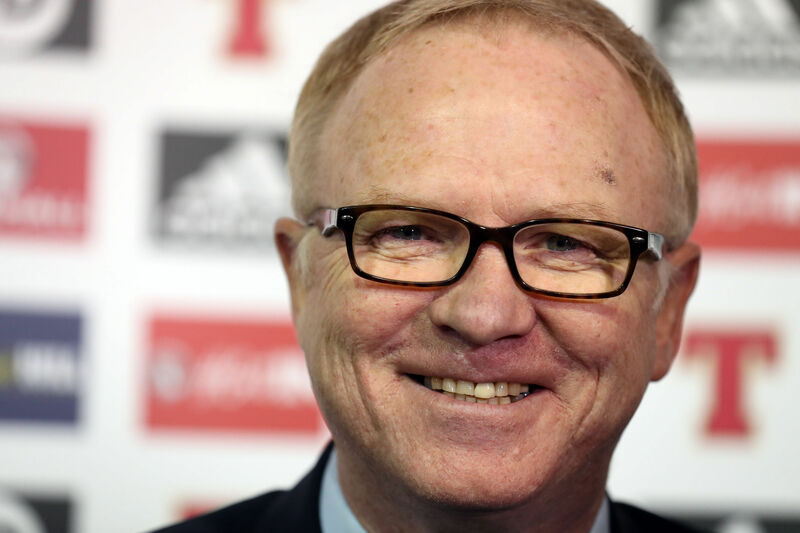 Yes, we may be a little short in a couple of areas, but I honestly believe we are on the right track under Alex McLeish. He has already done extremely well to inspire the national side to victories over Israel and Albania. Now we can expect the feelgood factor to be carried into the meetings with Kazakhstan, San Marino and Cyprus – our first three games in the qualifiers. Patriotism apart, what I would really like to see in 2019 is the adoption of VAR, a move that would surely go a long way to ease the dissatisfaction with officiating which has also been very much a recurring theme in the year about to be rung out. Back in 2009, I was the first person to push for the use of camera footage when I went in front of UEFA’s Football Committee to argue a case for its use. I can still remember what motivated me back then – Thierry Henry’s notorious handball which cost the Republic of Ireland their place at the 2010 World Cup Finals. It struck me as wrong then that people sitting in the comfort of their own front rooms could see what had happened, yet the referee was unable to overturn a decision that was clearly wrong. VAR didn’t find a willing audience nine years ago, with former professionals – led by Franz Beckenbauer – arguing that removing the human element from the game would remove much of the fun from it. My reply that it would make the game fairer fell on deaf ears. Coming up for a decade later, it has become a reality – for those who can afford it. If it is too costly, I would suggest taking a step down the road by including fourth officials in the decision-making process. The referee can already seek the view of his assistants, so why not the fourth official as well? After all, they are former refs themselves. I don’t mean that they should do this for every little thing. The process could be limited by giving each dugout a couple of appeals per match, much as they do in tennis. Get your challenge upheld and you retain it. Get it wrong, though, and it is lost. It won’t please everyone, of course. But it might make for a happier New Year.